Whether your grounds need a boost or your garden could do with some TLC, if you’re located in or around Welwyn Garden City, Hertfordshire, then we can help. With an excellent track record in all types of grounds maintenance, commercial landscaping and garden improvements, we offer a customised and professional service which is suitable for jobs of all types. We recognise that each customer has their own priorities and can always adapt our provision accordingly. Many schools, care homes and businesses in Colegreen or Hatfield prefer to contract with us for regular maintenance, ensuring that lawns and pathways always look their best. 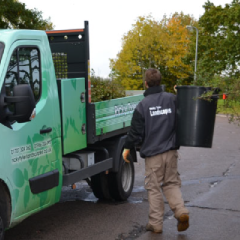 If required we can undertake seasonal tasks such as gritting or leaf clearing, providing a premium grounds maintenance service which provides a safe, appealing environment for your staff and clients. We have the right skills and tools to undertake all jobs to a high standard and our workforce are trained to work safely and professionally at all times. Regular site visits and on-the-spot inspections ensure that our Welwyn Garden City customers enjoy consistently premium results. If you need commercial landscaping for new development in Digswell, or have an existing piece of land which could do with an upgrade, we can provide expert assistance at every stage of the process. Having undertaken similar work at several local locations, we are able to offer timely recommendations as well as implement an existing plan or turn your commercial landscaping ideas into reality. From a one-off piece of essential garden maintenance to regular lawn care and turfing work, our company provides an affordable and approachable solution to your grounds maintenance needs in Welwyn Garden City, Hertfordshire. No matter how big or small your garden project or commercial landscaping might be, we can get the job done properly using our experienced, friendly team. Ricky Tyler Landscapes can provide gardening and grounds maintenance services including Welwyn Garden City Grounds Maintenance covering Welwyn Garden City, Hertfordshire .